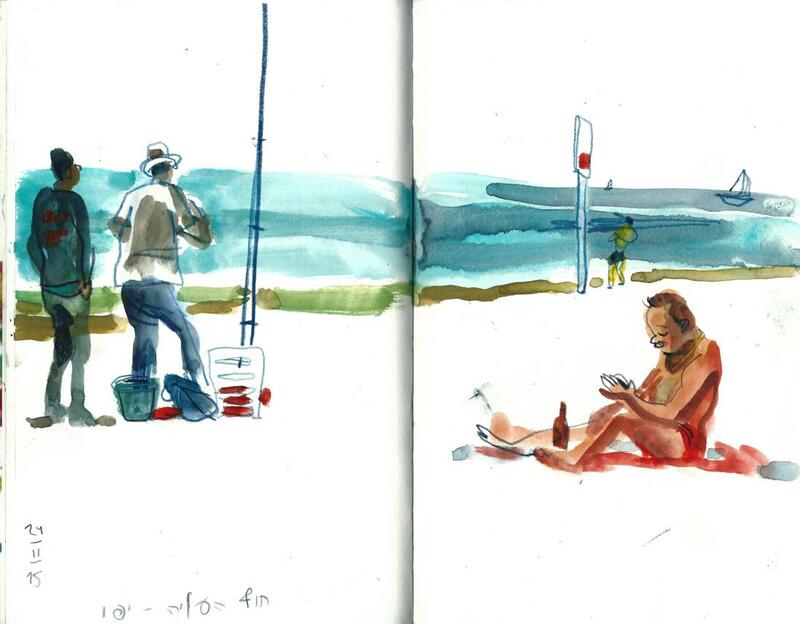 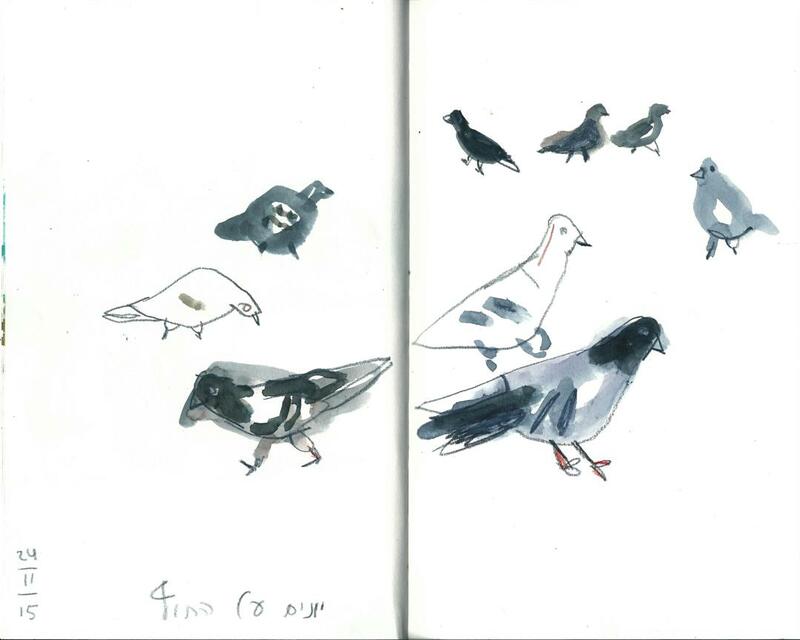 Some sketches I did on one of Jaffa's beaches at one of perfect November days. 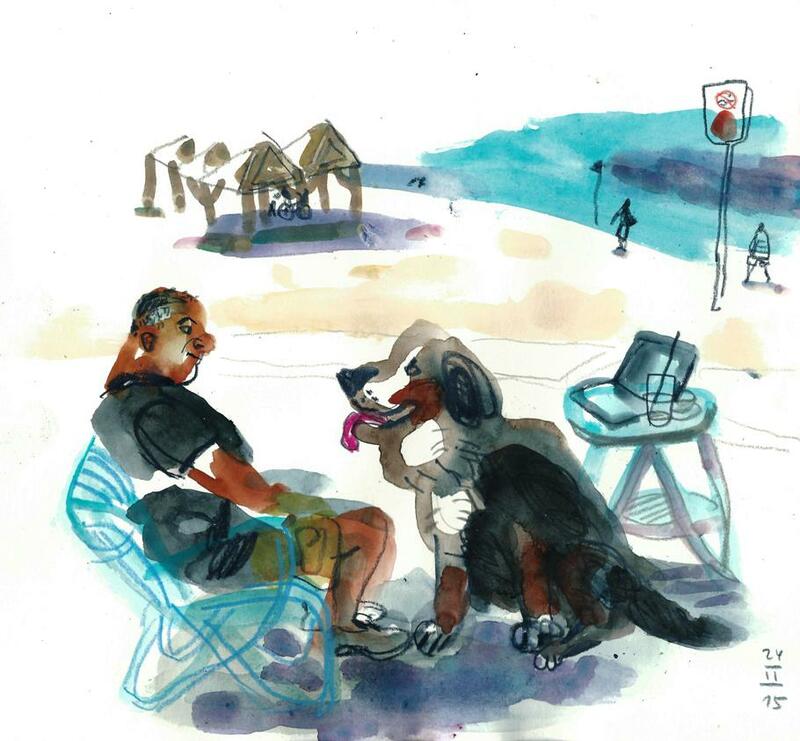 Dog and his owner - don't they look alike? 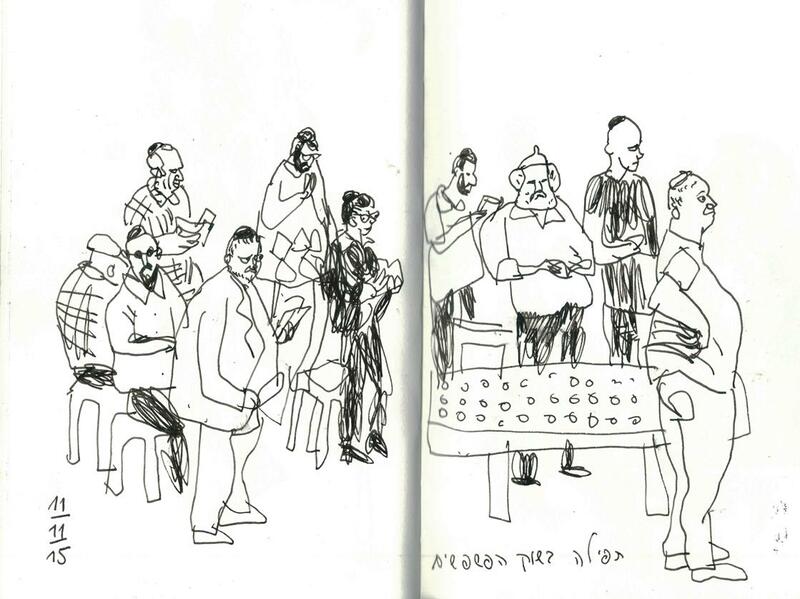 the food at the end, as usual! 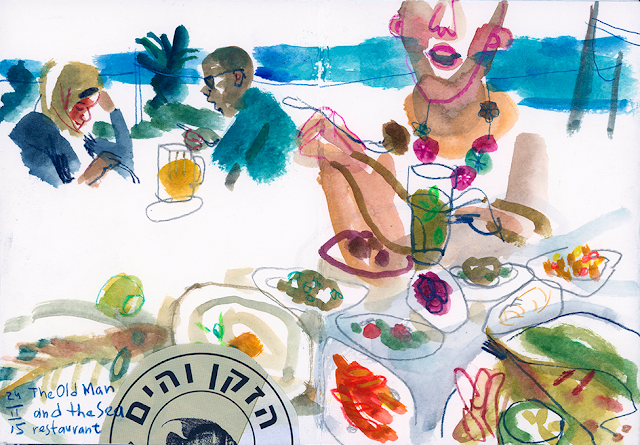 Jaffa Flea market is one of the most colorful places in Tel Aviv, full of authentic characters, patterns, smells, sounds and stories. 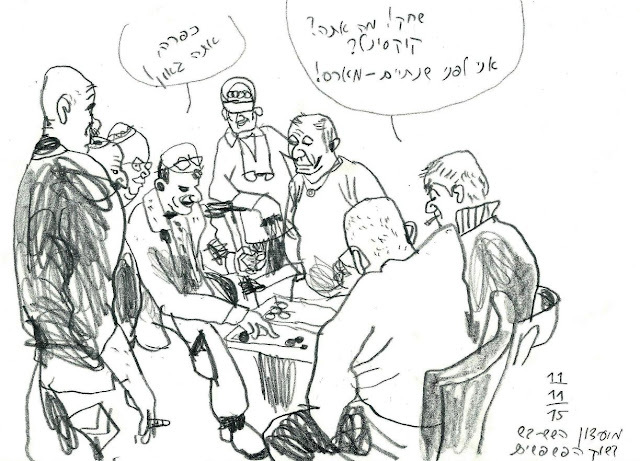 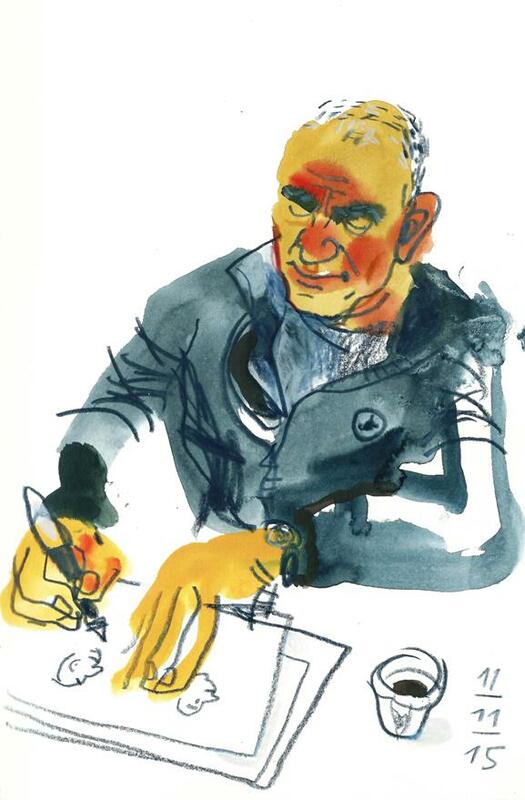 After I came back from Singapore, where I was fascinated by the chess players "club" in the middle of the Chinatown, I was looking for opportunity to sketch street games players here in Israel. 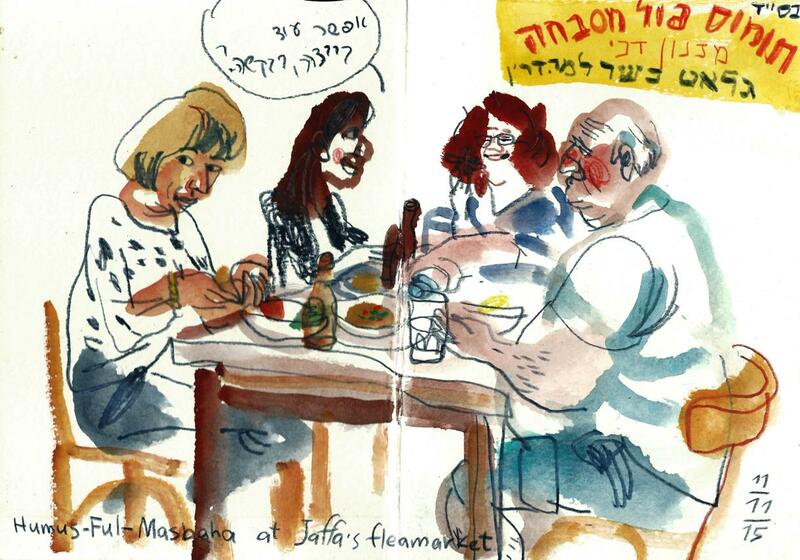 This week I found them at the Jaffa . Small table and two chairs in the middle of the street, two players surrounded by the group of men - was really the best show in the city! 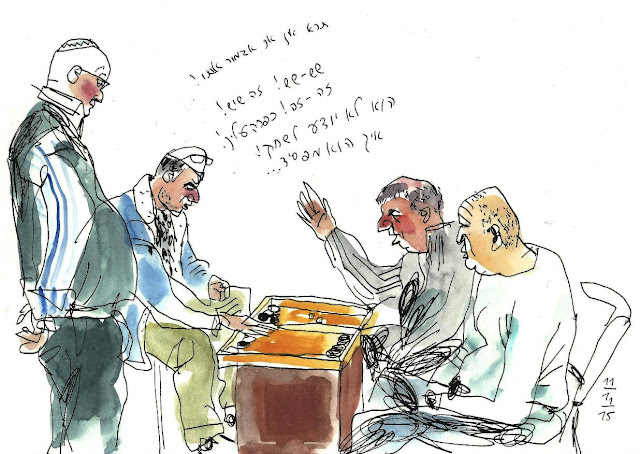 I think that Olympic Games competitors need to learn the worrier's spirit from these backgammon players! Of course, there is no sketching day without food - we couldn't resist to have some humus! It was perfect sketching day! 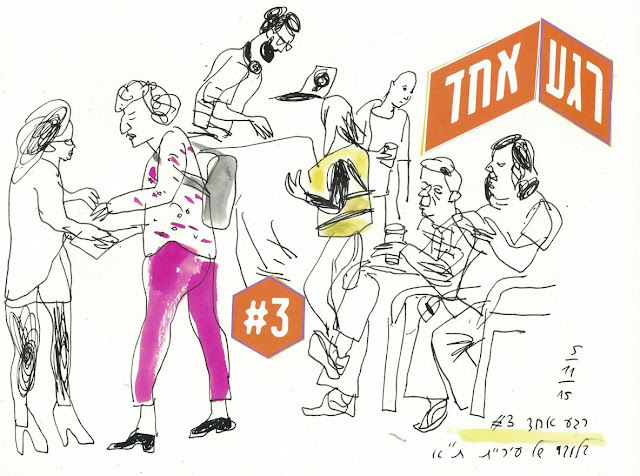 This year Urban Sketchers Israel were invited again to take a part in the Municipality of Tel Aviv event "One Moment - Art in Unexpected Spaces". 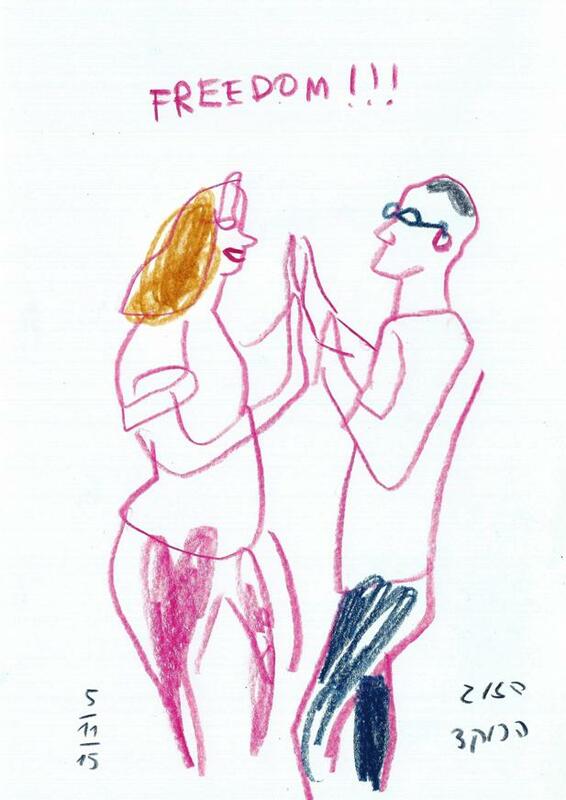 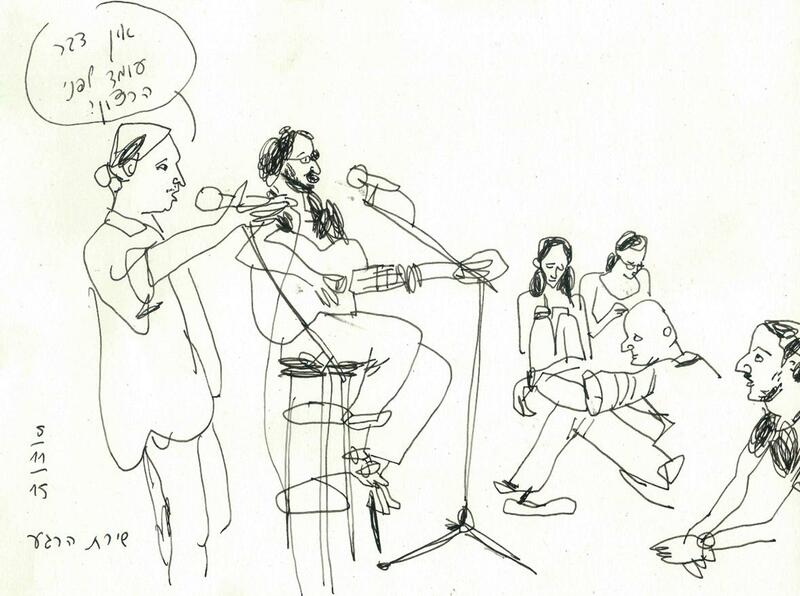 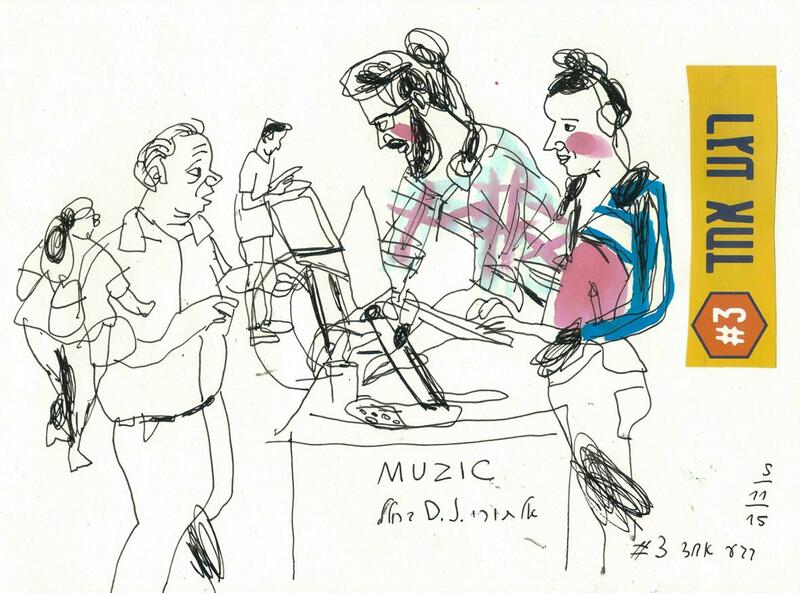 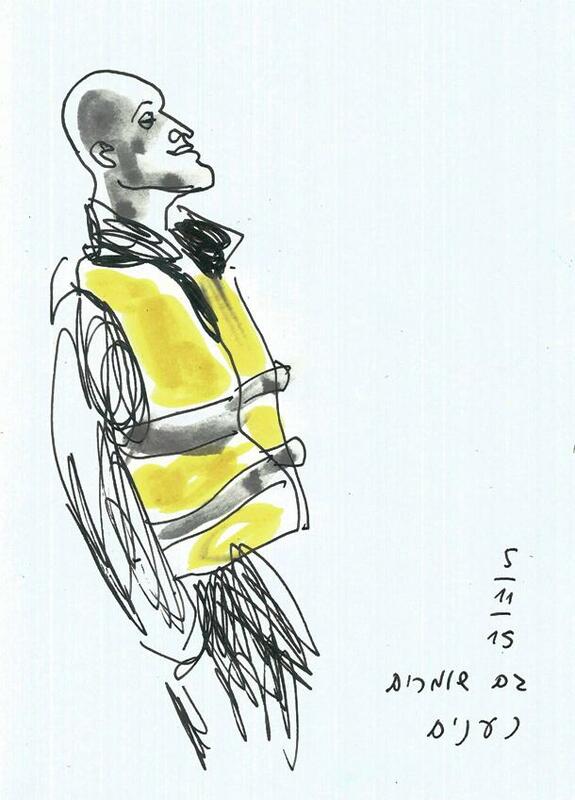 We were invited to be reporters of the event and also one of its attraction - sketching "live" all we see around. 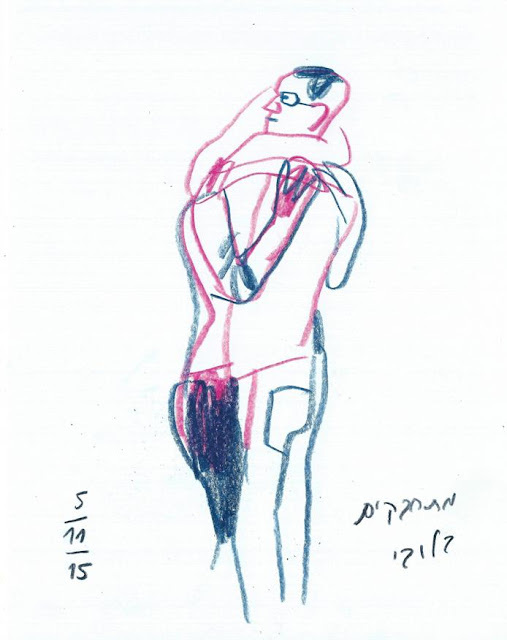 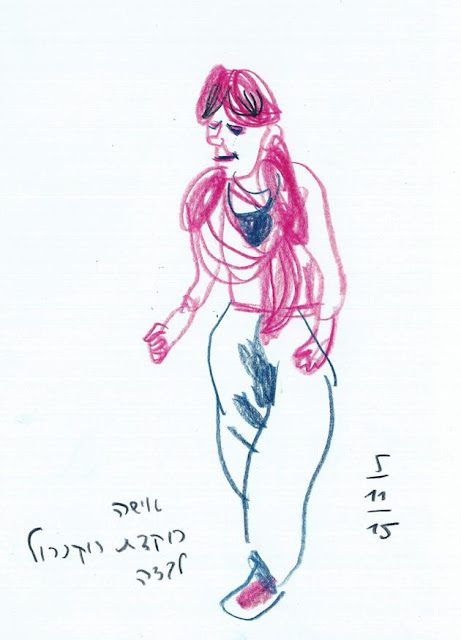 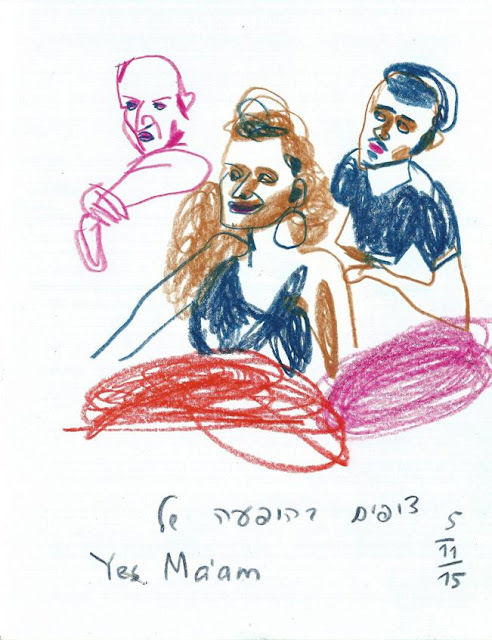 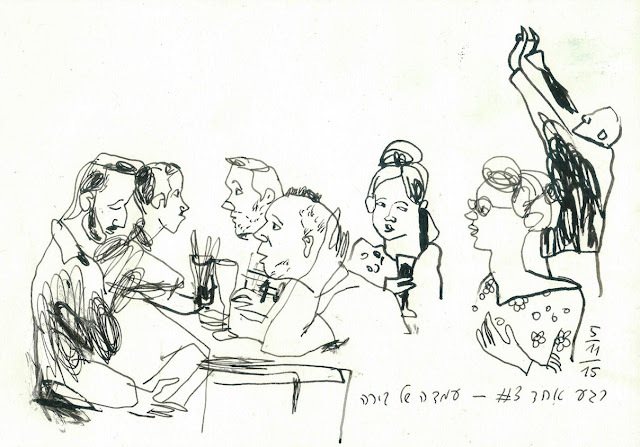 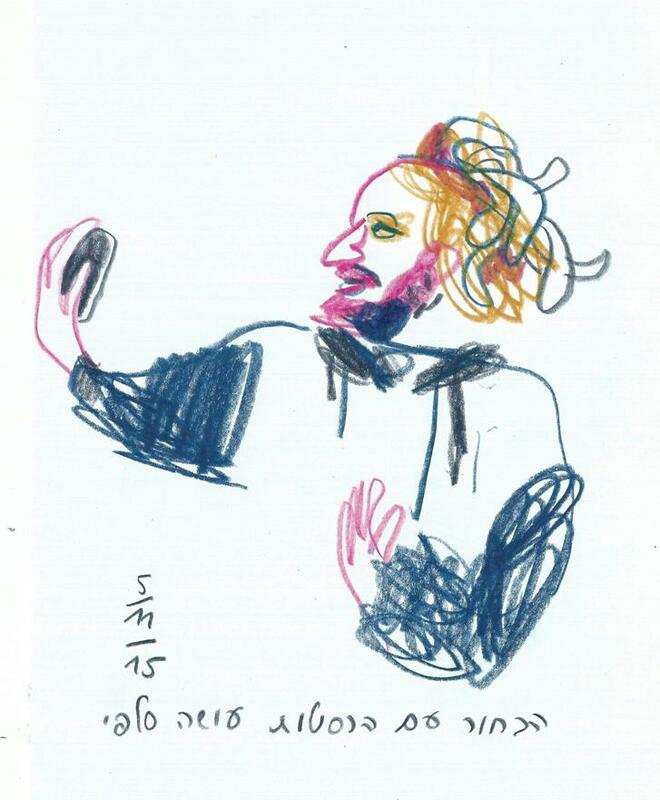 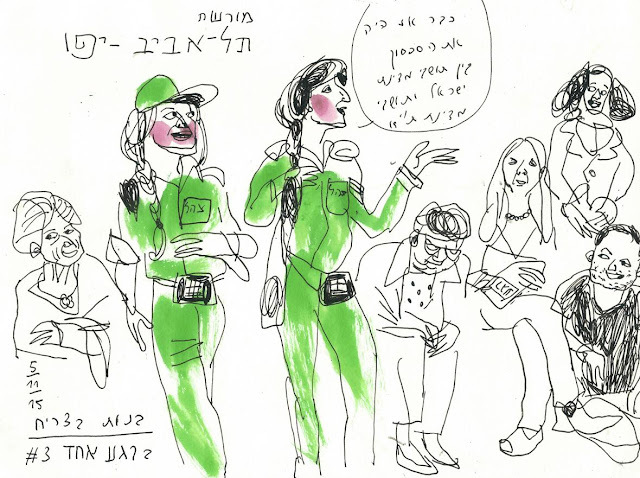 Sketchcrawls are always fun, but being "reporters" of such a colorful event, when all kind of artists from various areas perform for the Tel-Avivian audience inside the municipality building - place they use to see when they pay taxes and fines - this is a very special and fun experience! 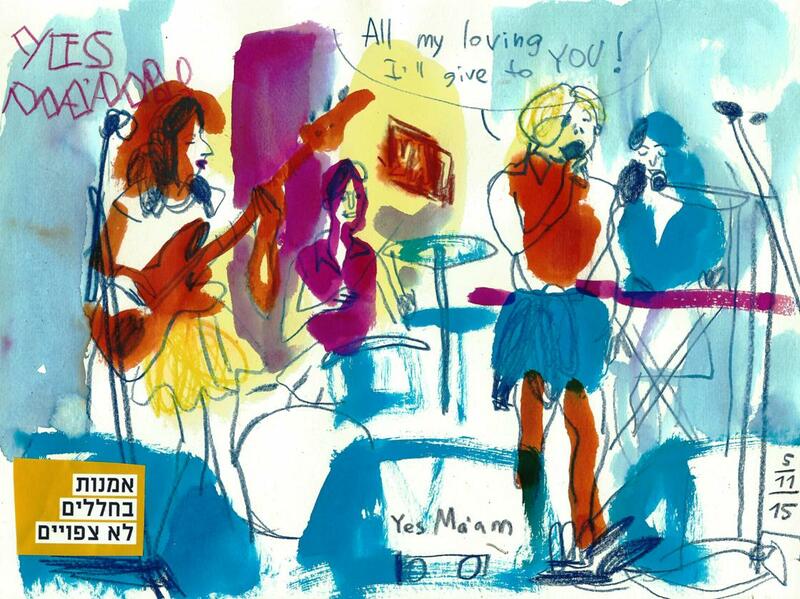 girls rock band "Yes Ma'am!" people listening to the "Yes Ma'am"
But seriously, it was amazing evening with great energies, well done the TA municipality and its citizens!